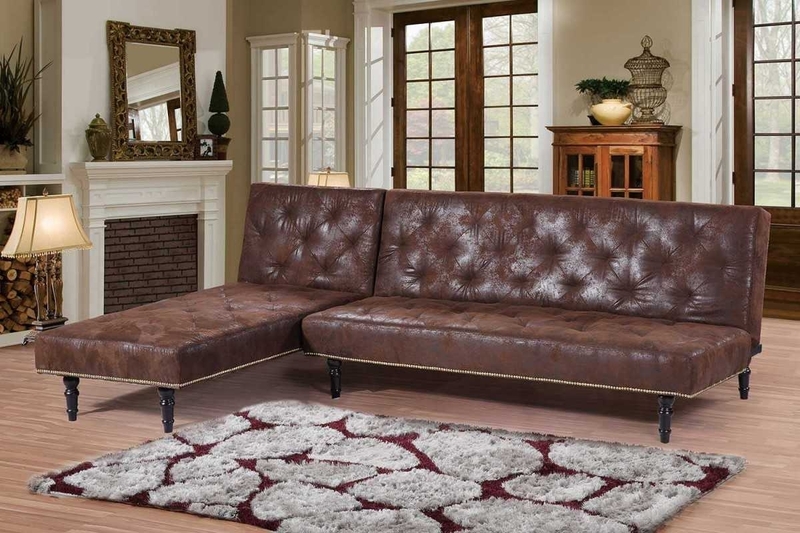 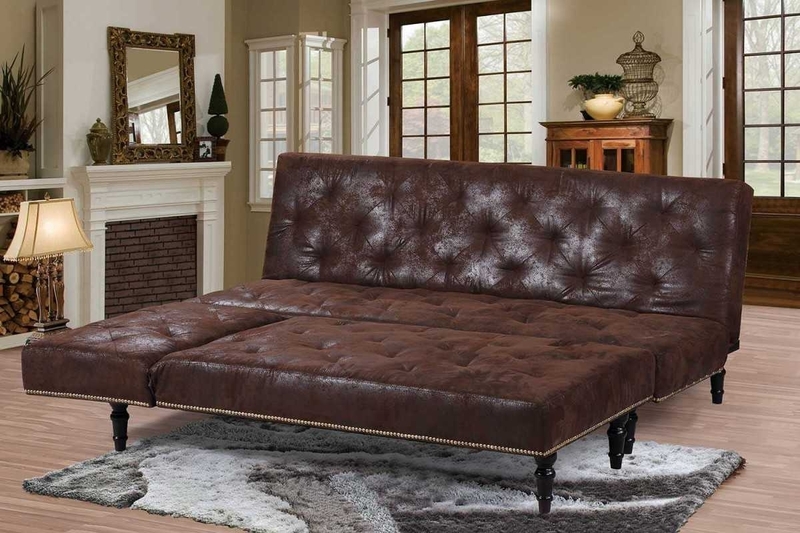 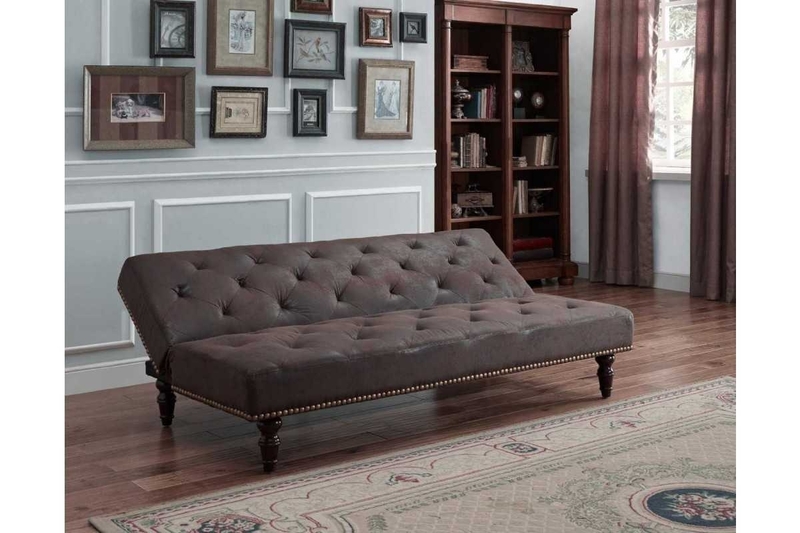 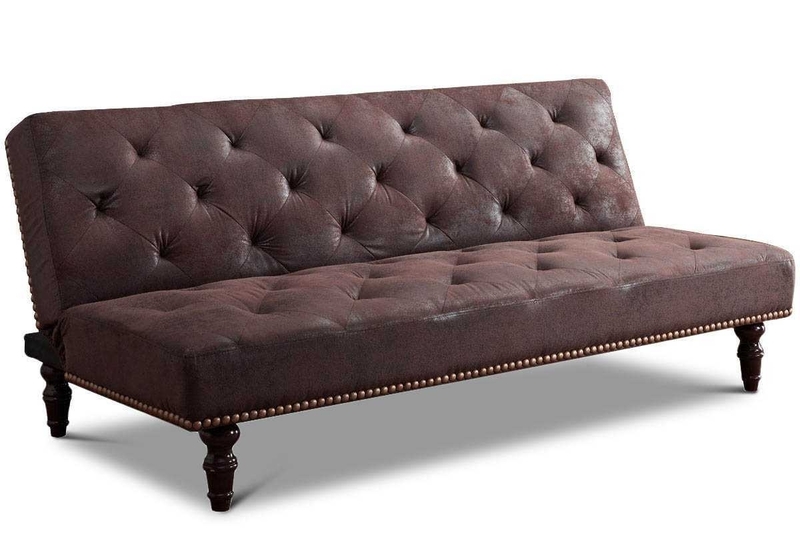 The 'Charles' is a versatile antique vintage style Sofa Bed. 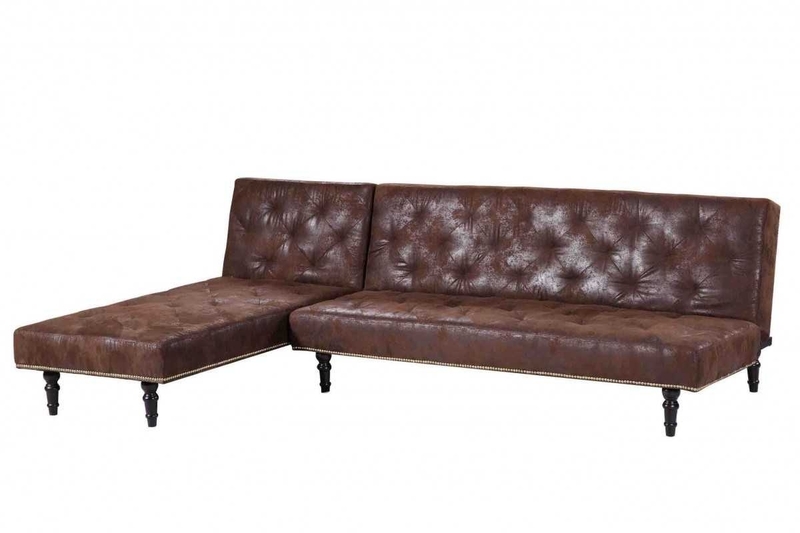 Upholstered in a vintage Brown faux suede fabric material, the Charles can be used as a standard 3 seater sofa but can be transformed into a 4 seater Corner Sofa bed by adding the separate universal single chaise. 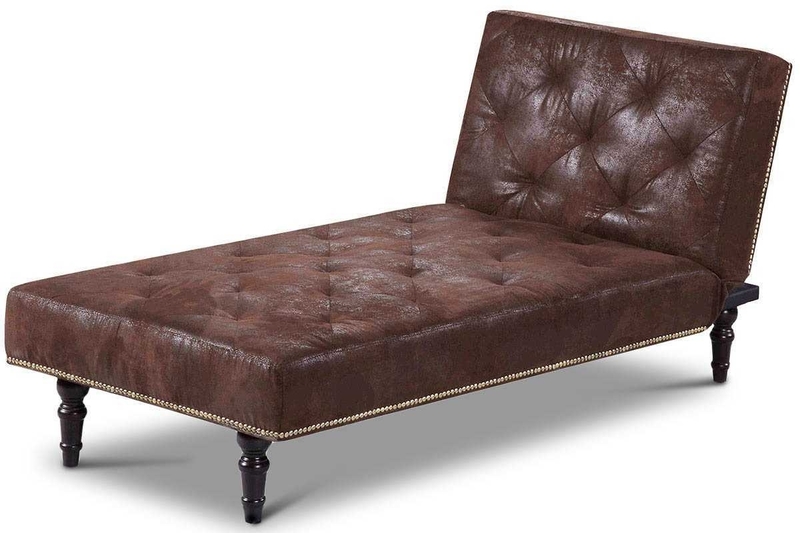 When all folded down the Charles Sofa Bed & Chaise combined can create a large bed, all with a few simple actions. 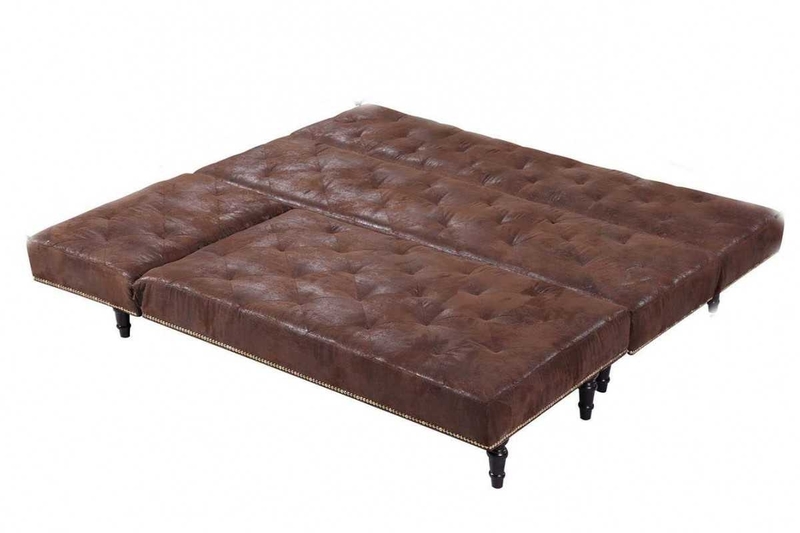 A fantastic, space saving idea and perfect for stop-overs.